Today, its my turn to share my experience on having one of the best Dual turntable amongst my friends. How many of you also own the Dual CS 505-4 turntable? Its kind of like an old treasure piece and Dual made its mark on us the audiophiles. Even though now we have many more options compared to before, I still have great admiration for those folks at Dual. To be honest, I am a proud owner of the Dual CS 505-4 turntable. 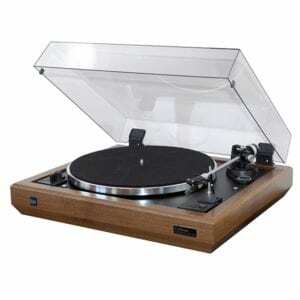 A short history about its humble beginnings: this turntable was produced in the 1970s from Germany. This country is one of the countries in the world that I admire especially on their precision and high quality products, be it automobiles, all types of machinery and audio equipment alike. Due to the overwhelming popularity of this Dual CS 505-4, it again was in production sometime in 1992, I remember. Back then there was the vinyl craze. Not saying that now we don’t have it, but its kind of different wave. If you are wondering if this CS 505-4 is manual, its not. This turntable is a semi-automatic machine. From the onset of it, the first impression it struck me was its sleek design, the black design looked very appealing to me. Basically, clean cut finishing and it exuded an air of its own. Now you also can choose from the classy walnut brown color. However if I had a choice, I would still stick to my black companion because I am not someone who likes my things to be colorful. Because being plain and consistent is something I have been used to. It however isn’t light weight category, maybe from the appearance you will also guess that it kind of has some weight. Having quite some weight to me, is pretty good because then I need not worry about the unnecessary woes if those little ones run around and bump into the table that it sits on. This CS 505-4 is a semi-automatic machine with floating sub-chassis. It comes with the anti-distortion wooden chassis, designed to reduce distortion. 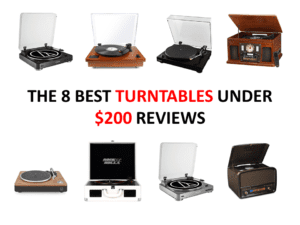 At that time, not many manufacturers had such sensitive concern for consumers, but Dual did in many aspects, that’s why I still think the best turntable in the market is still Dual turntables. Anyway, the board also comes with a floating suspension and that is very helpful too. Their chassis technology is solid. The platter is made from aluminum equipped with anti-static and a thick felt mat all in the intention to dampen vibration if any. See, this is what I meant earlier, the design process is very thoughtful. When it comes to the tonearm technology that they employ, there is a cardan bearing with massless stylus force that is programmed by high precision torsion spring. You can understand more on why it has been able to command its premium now. The headshell that comes with it is also detachable with 13mm fixing holes. The headshell is made from high quality carbon fiber, which you may not find in many other brands. Therefore, the headshell is very rigid. Well of course you can also detach it and replace it with something of your choice. Whether a turntable can produce high quality sound, it is quite important to have anti-skating capabilities and the Dual CS 505-4 made the mark. It also has adjustable tracking force, so you can meddle with it and find the right point that you desire. Its rare to find manufacturers these days pouring in their resources and investment into improving their tone arm technology, hence I still salute Dual even up to today. Yes, they are other manufacturers catching up in terms of quality since technology has been improving over the years drastically. 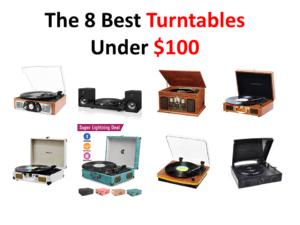 But from the 70s to the 90s, the best is still the Dual turntable. This Dual CS 505-4 is your semi-automatic turntable. It is belt driven and it comes with a polished flat belt. It boosts of the 16 pole synchronous motor that also comes with speed precision control. Take note: not all semi-automatic turntables are like that. The drive technology is another important consideration or factor in producing good quality sound, because if the manufacturer did not invest in this area, then no matter how good the vinyl or the other parts of the turntable, there will be something missing. It is also equipped with the viscosity damped arm lift. Being semi-automatic in operation, has its own benefits, for e.g. in this case, you have the auto stop function with tone arm lift. You do not go fully manual or fully automatic, but you get the best of both worlds. Also, the CS 505-4 Dual turntable is supplied with magnetic OMB 10 cartridge. You can always switch and upgrade to better ones over the years when wear and tear happens. This Dual CS 505-4 turntable unfortunately only has two playback speeds namely the 33 RPM and 45 RPM. So if you are looking at playing your 78 RPM records, you may be disappointed. The speed accuracy in % DIN/WRMS: < +/- 0.06 / 0.035%. The rumble to noise ratio stands at 52 decibels, while the rumble-noise ratio is 75 dB. Its frequency response is between 20 hertz to 22 kHz. It weighs about 6.5 kilogram and requires power of 230V. It is the size of 440 by 147 by 372 mm. Of course I don’t just want to present my views only, so I actually gathered some folks who had spent some time with the Dual CS 505-4 turntable to give me their feedback. They are some who had changed the belt drive a couple of times and that irked them, but other than minor hiccups, it seems to be that overall the satisfaction level amongst owners of the CS 505-4 appreciated its companionship. Some folks are still selling it on eBay and you can find out the latest auction/bid price by clicking here. For me, I am very happy I made that choice back then, as this CS 505-4 Dual allowed me to enjoy good sound from my vinyl, where everytime when I am stressed and I need to relax, I seek solace in this companion. 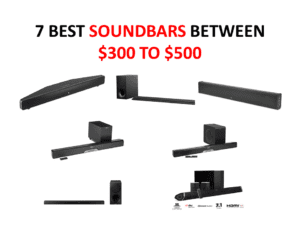 Its great ease of use coupled with good music sealed the deal for me. I have also gotten my hands on a few other newer turntables and I found the Rega RP3 having close resemblance to my best Dual 505-4 turntable. 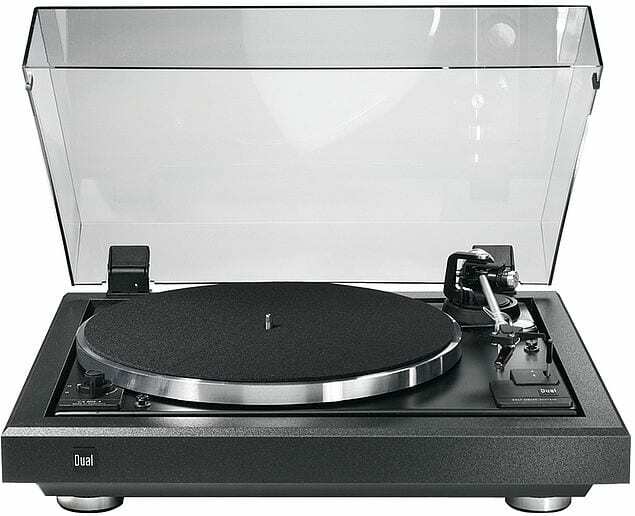 If you are keen on the Rega RP3, check out the price here. So if you are not able to lay your hands on the Dual CS 505-4 or you would like to start off with lesser commitment, go for the Rega RP3. I have also tried switching the cartridge with the Grado Prestige Black, Gold and Shure M95ED and they worked great. If you also own a Dual CS 505-4 let me know if you agree with me.